Teslacigs Biturbo Mech is a unique and awesome vaping device that can fire dual RDAs with just one mouthpiece at the same time. Vapers can enjoy two flavors simultaneously when adding two-flavored e-liquid into RDAs. The Biturbo Mech has an innovative channel selection button, allowing users to choose between one RDA and two RDAs. 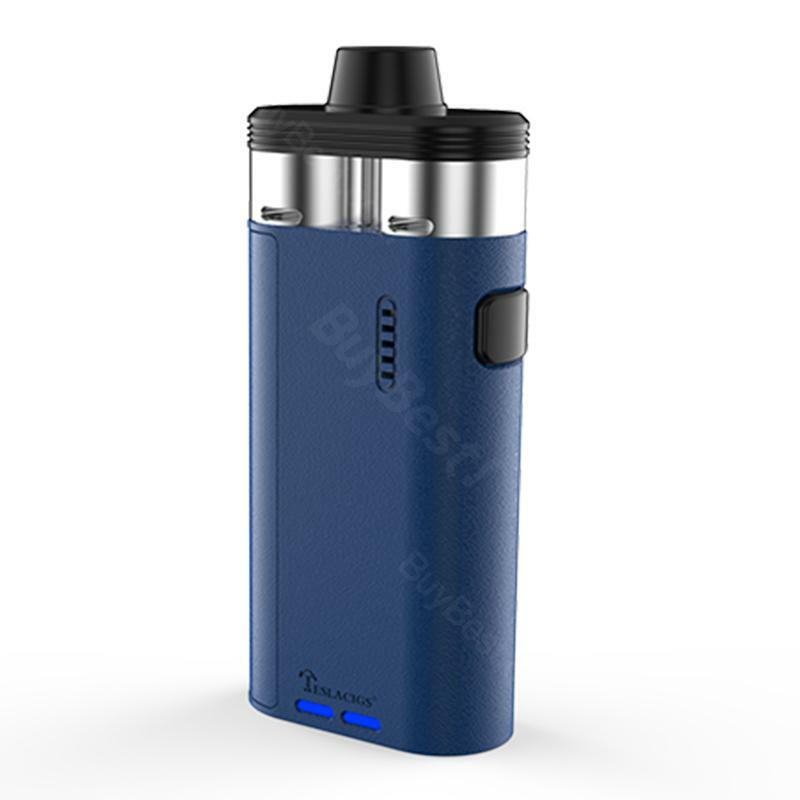 Biturbo Mech by Teslacigs is a novel vaping kit that allows vaper enjoy two flavors simultaneously. It has a unique structure that the Biturbo Mech can fire dual RDAs at the same time. It also comes with a channel selection button for choosing between using one RDA and two RDAs. You can check the battery status with intuitive LED lights. The dual RDAs feature easy build deck, deep juice well and adjustable bottom airflow system. The Biturbo Mech Dual RDA Kit brings impressive flavor and beast clouds. • Rebuildable kit is for experienced vapers, not for beginners. Tesla Biturbo Mech Dual RDA Kit with 2 Separate RDAs, cool and efficient, one of the best kits. Liquids schmecken gut. Für Anfänger sehr zu empfehlen. Tesla Biturbo ist gut. Schnelle Lieferung, funktionieren beide super!